Exxon Mobil Corp. on Friday reported a profit of $45.2 billion for 2008, breaking its own record for a U.S. company, even as its fourth-quarter earnings fell 33 percent from a year ago. The previous record for annual profit was $40.6 billion, which the world's largest publicly traded oil company set in 2007. The extraordinary full-year profit wasn't a surprise given crude's triple-digit price for much of 2008, peaking near an unheard of $150 a barrel in July. Since then, however, prices have fallen roughly 70 percent amid a deepening global economic crisis. In the fourth quarter alone crude tumbled 60 percent, prompting spending and job cuts in an industry that was reporting robust, often record, profits as recently as last summer. With piles of cash and diversified operations, the majors like Exxon Mobil have fared better than many smaller oil and gas companies, but Friday's results show no one is completely insulated from the ongoing malaise. 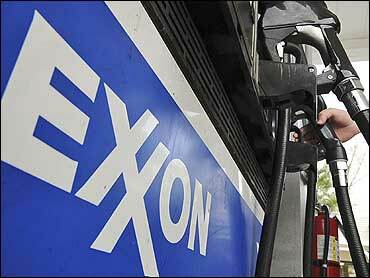 Irving, Texas-based Exxon said net income slid sharply to $7.8 billion, or $1.55 a share, in the October-December period. That compared to $11.7 billion, or $2.13 a share, in the same period a year ago, when Exxon set a U.S. record for quarterly profit. It has since topped that mark twice, first in last year's second quarter and then with earnings of $14.83 billion in the third quarter. Revenue in the most-recent quarter fell 27 percent to $84.7 billion. On average, analysts expected the company to earn $1.45 per share in the latest quarter on revenue of $69.1 billion. Shares rose $1.14 to $78.14 in premarket trading.